I have never considered myself to be a “retreat” kind of woman. In fact, before becoming involved in PazNaz’s Women’s Ministries several years ago, I never considered myself to be a “Women’s Ministries” kind of woman. Women’s Ministries events and the idea of a weekend retreat just sounded like too much estrogen for me to handle. However, I quickly discovered women at PazNaz who helped me change my perspective. I found women both young and old who were kind, generous, and real. I found women I wanted to get to know on a deeper level; I just had to make the space for it. In today’s busy world, there are many obstacles that may keep us from going on a weekend retreat. For some, a “women’s retreat” can carry a specific stigma that may be brought on by negative past experiences or assumptions. For others, the idea of putting oneself out there without knowing anyone is the most terrifying and vulnerable idea imaginable. And yet others would love to attend, but obstacles such as money, time, or kids stand in the way. These obstacles can be very real. However, I believe there are times when we allow them to stand in our way as a means of protecting ourselves from having to bravely step out in faith, and perhaps ignore the very thing God is trying to speak into our lives in a particular season. Women’s Ministries tries to alleviate some of these obstacles by offering scholarships and creating a weekend that will offer ease and comfort. Hopefully, it just becomes a question of is God calling you to attend and, if so, are you willing to carve out the time, rearrange your schedule, ask for help, and/or step out in faithful obedience. This past February, PazNaz’s annual spring women’s retreat was held at Murrieta Hot Springs with the theme Be Still: Listening for His Voice. It was a wonderful weekend full of blessings. The Spirit continued to move in us throughout the weekend, and I felt like we were truly living as an intergenerational church. Over and over, women of multiple generations organically gathered together to learn, discuss, pray, and connect with one another. The weather was perfect, high 60s, clear, and sunny. We were also surrounded by the beauty of God’s creation. For once I could see lush greenery, granted by the previous months of long awaited rain. A family of ducks walked through the campus. And of course there was the lake, the pool, the Roman spa, and small hot springs to enjoy. Former PazNaz Pastor Jayme Lenker returned from the Pacific Northwest to be our fabulous speaker for the weekend. Jayme used a variety of teaching methods to remind us that we are worthy, called, capable, and church. Our worship was led by PazNaz’s Rosa Ramirez with teams that included women from La Fuente Ministries, teenagers, and working women. The songs “We Need Thee Every Hour,” “Hallelujah,” and “Christ Be All Around Me” became anthems for the weekend. The most remarkable blessing of the weekend was simply the individual women who gathered together. There were 72 women ranging in age from 16 to 78. They included four high school students, four undergraduates, and ten mother-daughter duos. There were several mothers of young children, two of whom were pregnant, and three women with their nursing baby boys (including myself). There were working women, retired women, married women, and single women. There were women from PazNaz’s La Fuente Ministries and from our Armenian congregation, as well as a handful of women from outside of PazNaz. There were women who have gone on multiple women’s retreats before and women who had never attended a retreat in their life. As I stood in the back of the room and looked around, I was amazed as I witnessed this diverse group of women worshipping together. Women young and old were standing with arms lifted in praise, swaying and stomping their feet in song. Mothers and daughters were singing arm in arm; mothers and babies were bouncing in the back. In that moment I could see the Holy Spirit working and moving in us. We were gathering as sisters in Christ. The Spirit continued to move in us throughout the weekend, and I felt like we were truly living as an intergenerational church. 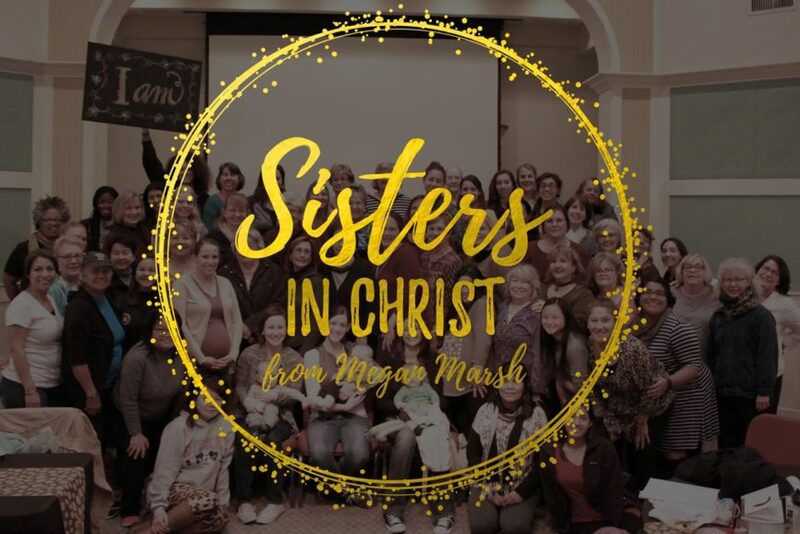 Over and over, women of multiple generations organically gathered together to learn, discuss, pray, and connect with one another. We sat with one another to break bread, and took turns holding and playing with babies. I could not think of another time when I had seen women making space for one another like this and forming natural intergenerational relationships. It gave me such peace and joy. This had been my deep desire for the women of our church, and to God be the glory. God calls us to not only be in relationship with him, but to be in relationship with each other. He works through us; he uses us to bless others, to help others grow, and to see his love and faithfulness. So, while I know it can be difficult to both carve out the time and put ourselves out there, it is worth it and necessary to spend time connecting with other sisters. My hope in this next year is for the women (and men) of our church to continue to stretch themselves by both making space for, and reaching out to, one another in new ways. I would like to publically thank all of those who served and helped make this year’s retreat such a blessed experience, especially Barbara Fields, Rosa Ramirez, Jayme Lenker, Margie Blum, Gayle Theilacker, Heather Handley, and Sarah Edgbert.